Gregory Porter -vocals, Chip Crawford -piano, Tivon Pennicot- tenor sax, Jamal Nichols -acoustic bass, Emanuel Harrold -drums. Recorded and filmed at the Philharmonie, Berlin, May 18th 2016. 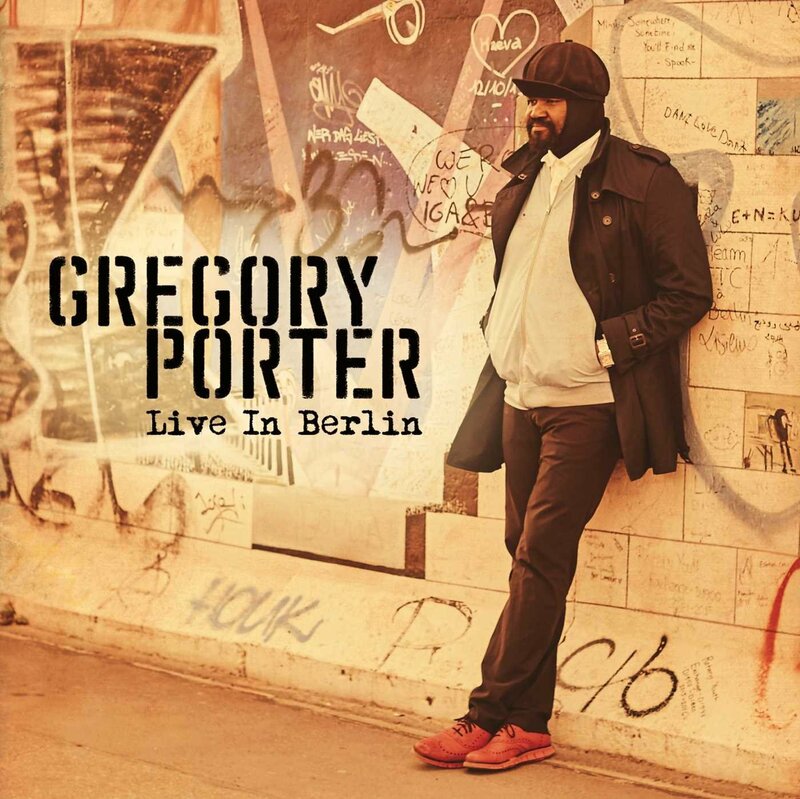 This handsome three disc set comprises two audio CDs and a DVD of the concert, interspersed with interview cameos, which captures vocalist and songwriter, Gregory Porter, performing with his regular touring band, a stripped down jazz quartet, rather than the big orchestral settings and gospel choirs that have been a feature of his recent TV appearances. To my ears his attractively rich and powerful baritone voice -like that of Lou Rawls- is more in tune with a soul music environment than jazz or blues, though he does attempt a little scatting here and there and gives a fine, rousing account of Oscar Brown Jnr’s `Work Song`. It is, however, the presence of his band with Pennicot’s tough toned tenor that gives the gig its jazz credibility and although the pianist’s solo ambitions appear to exceed his technique (he actually sounds out of tune on one track) their collective groove keeps the music flowing and relieves the lachrymose atmosphere that some of Porter’s devotional/inspirational material invokes. Apart from the aforementioned jazz standard the music is taken from Porter’s back catalogue and includes tunes from his most recent albums, `Liquid Spirit` and ` Take Me to the Alley`; all his own compositions plus a couple of famous soul hits added for variety and embellishment. His themes include nostalgic yearnings for a golden era now past as in `On My Way to Harlem`, social unrest and the challenges of change plus homilies of a spiritual nature, which are all very worthy but which old cynics like myself might find rather bathetic. If, however, the soul/gospel genre is your bag then I’ve no doubt you’ll find much to admire and for Gregory Porter’s many fans the set will be indispensable.